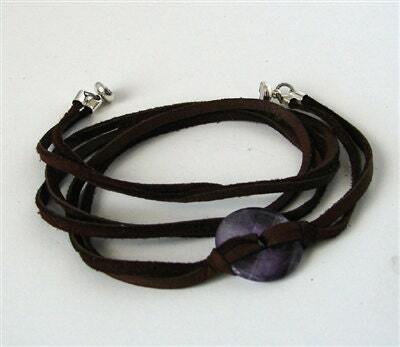 Amethyst Leather Wrist Wrap Bracelet. 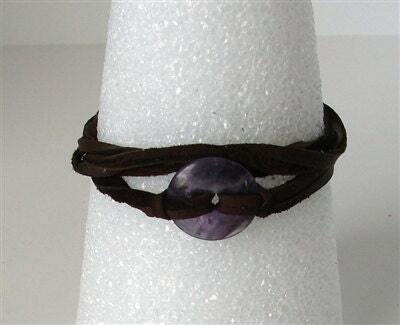 Wrist Wrap designs utilize a magnetic clasp with a triple wrap design, this piece is done in deer skin lace with Amethyst focal piece. 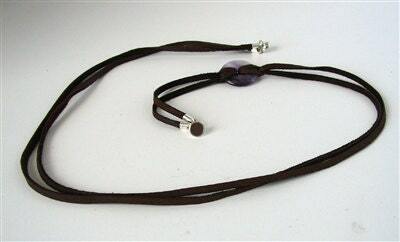 Please select your wrist size - if you need a different size you can enter it in the comments box at check out.